Few know how to truly compare and contrast the games of chess and poker like Ivo Donev, a World Series of Poker bracelet winner and International Master in chess. Donev, who hails from Austria, was one of 100 players to put up $50,000 to compete in the 2017 WSOP Poker Players Championship, an eight-game mix that pit some of the game’s deepest thinkers against each other over five days of action. Donev, who won his bracelet 17 years ago, ended up finishing fourth on Thursday for a score of $419,337. The event was won by high-stakes online poker pro Elior Scion of the United Kingdom for nearly $1.4 million. The 57-year-old Donev has a chess rating of more than 2,300, making him one of the top players in the world. The only step up from International Master is Grandmaster. Card Player had the chance to speak to Donev after he busted the Players Championship to talk about why he plays more poker than chess these days, as well as the limitations of comparing the two strategy games. Brian Pempus: How did you feel at the final table? 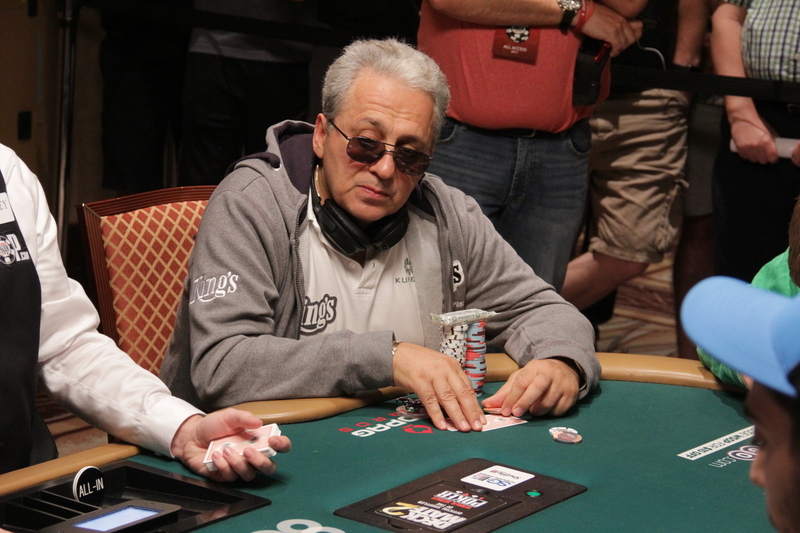 Ivo Donev: It was a very strong final table. I’m a professional chess player; I’m an International Master. The eight-game mix is a strategy game like chess. I felt very good in the [Players Championship]. This tournament takes more skill than the no-limit hold’em main event. You have to change the gears in any game. You have to change your strategy. BP: Poker has a significant amount of gambling in it. Can you compare it to chess? ID: In chess, the luck is about three percent, while in poker it is 10 times more. Maybe 20-30 percent luck in poker. In one tournament, in the very beginning of the main event, the skill is 90 percent or more, but if the blinds get very high, the luck goes up and the skill goes down. In chess, the luck is only if you get a special variant in your defense or you draw a weaker player [to play against]. About 97 percent of chess is skill. Now computers are so strong in chess that they can beat every player. In chess there isn’t a lot of action, so it’s not so popular. In poker there is a lot of action, and a lot of money. It makes for good TV. BP: Can chess do anything to increase the luck factor to give the game more action? I’ve heard of randomizing the position of the pieces in the back row. ID: Yeah, that’s the rule from Bobby Fischer to make a little action. Maybe speed chess is more interesting for TV. The skill is very strong and luck is very small. It is too much work in chess for not a lot of money. I was a professional chess player for many years. I played [all over Europe]. I was a chess trainer and coach. I lived off of chess for over 10 years. It’s very difficult [these days] because sponsorship is very low. You can make more in one year from poker than in 20 years of chess. I still play in a chess league in Germany. It’s just once a month. I wrote a chess book, and now I’m writing a book on strategy in no-limit hold’em tournaments. I’ll finish it next year maybe. I work as a poker coach and a chess coach. You can find me on Facebook. BP: Earlier this year there was a computer from a school in Pittsburgh that beat a group of four poker players in heads-up no-limit hold’em. Did you follow that? ID: Yes, of course. I know in no-limit hold’em, heads-up, the computer is very strong, 100 percent. You don’t need too much skill like in the big tournaments, because you don’t have to change gears based on new players. It’s more complicated [at a nine-handed table]. Computers are best in heads-up. BP: What was a bigger milestone for AI, when a computer beat the best chess player, Garry Kasparov in 1997, or some of the best poker players? ID: They are similar, but I think it was more important when the computer beat the poker player because poker [is a more popular game]. Maybe one day we will see a computer play the WSOP main event. It’s very interesting. Now everyone can have a computer in their phone that can beat the best chess players. BP: Which game is more of an emotional roller coaster to play for a living? ID: I think poker is more emotional, because in chess it’s one versus one. Also, if you lose, you lose very slowly. In poker there is big jumping. Sometimes you get lucky, boom, boom, boom, but other times you don’t play hands or you lose. In chess, everyone is friendly, every time. In poker, you have a lot of bad losers. Maybe he cries. In chess everything is quiet. People play for fun and not for a living. Here [at the casino], a lot of players try to play for a living and emotion is very high.